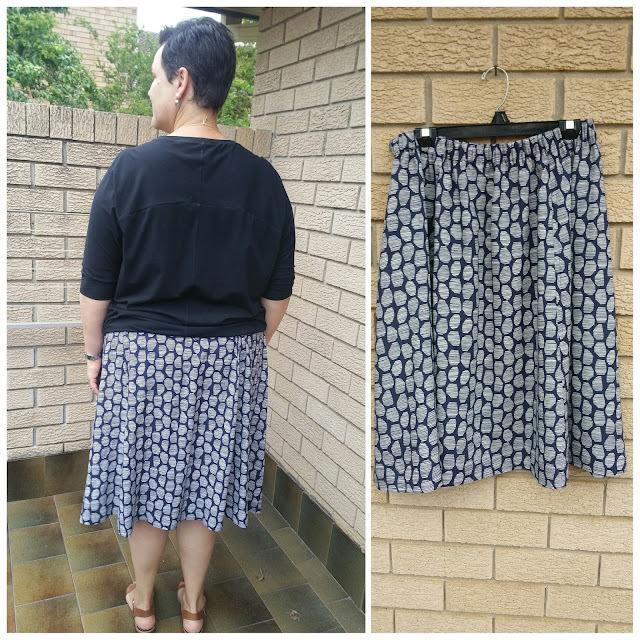 After experimenting with a few elastics waisted skirts (here and here) I've returned to my OG pattern - the Sewaholic Rae Skirt (my original version is here). 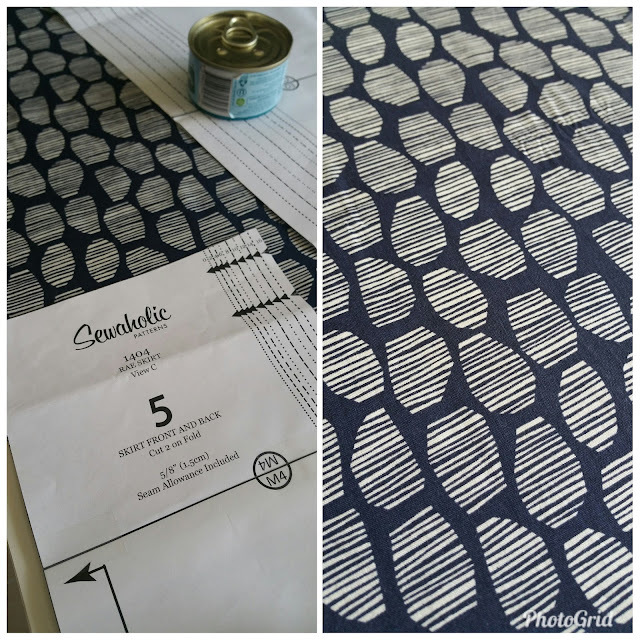 I like this pattern as it's made up via a number of panels that taper towards the waist so it's less bulky than the more simple method of sewing two big rectangles of fabric together. That said I didn't get the elastic length quite right, and it turns out this non-roll elastic has a lot of roll. I've really stitched the elastic in so it would be A LOT of effort and unpicking to remove it and replace it. I might replace it but I'm worried the fabric might not cope too well with that. I have no idea why, but this version of the Rae Skirt is quite a bit longer than my first one. Why would that be - everything is exactly the same as last time? 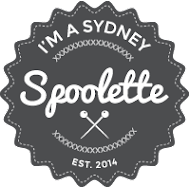 The fabric is an Atelier Brunette rayon/viscose that I swapped some of my fabric for - one of the Sydney Spoolettes is now the owner of some Nani Iro jersey I was never going to use. 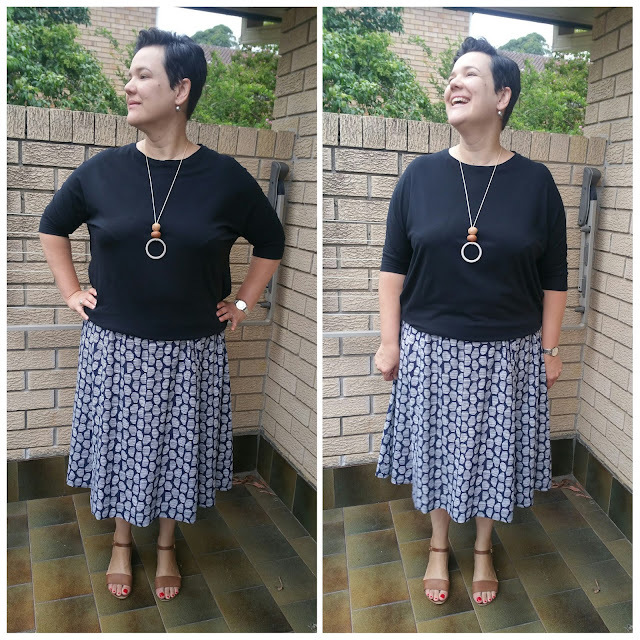 I love this fabric - it feels so light and floaty to wear and was so easy to sew with. I looked at getting some more in a different colourway but with currency conversions and shipping it was a firm NO from the bank account. Changes for next time: none - though use some better elastic!